HOUSTON, Texas — Tropical Storm Harvey continues to move away from the middle Texas coast but continues to dump torrential rains in southeast Texas. As many as 15 people are feared to be dead — nine officially. Rain predictions by the National Hurricane Center call for up to 50 inches of total rainfall in the Houston area and parts east. The storm is moving northeast, toward the Texas/Louisiana border. UPDATE Tuesday 8:00 a.m.: Tropical Storm Harvey continues to move into the Gulf of Mexico and began its turn to the northeast. Moving slowly, 3 mph, the storm is expected to continue dumping rain on the already flooded upper Texas coast through Friday. Harvey is predicted to dump an additional 7 to 13 inches of rain and will accumulate totals of up to 50 inches in Houston and some of its surrounding counties. Fifteen people are reported to have been killed in the wake of Harvey, nine officially. A family of six, including four children, is reported to have been swept away in a flooded bayou in Harris County. The van and its occupants have not yet been found, but the driver managed to escape and relayed his tragic story. UPDATE 10:00 p.m.: The National Hurricane Center reports that Tropical Storm Harvey is continuing to move further into the Gulf of Mexico. The storm is centered about 70 miles east of Port O’Connor, Texas and is moving east-southeast (120 degrees) at 3 mph. The storm continues maximum sustained winds of 45 mph. Officials report the rains being experienced in southeastern Texas are expected to continue and worsen overnight. “DO NOT ATTEMPT TO TRAVEL IN THE AFFECTED AREAS IF YOU ARE IN A SAFE PLACE AND DO NOT DRIVE INTO FLOODED ROADWAYS,” NHC officials wrote. The movement of Harvey is expected to continue overnight and then it is predicted to start a much-awaited turn to the northeast on Tuesday and Tuesday night. The storm’s third landfall is expected to occur on Wednesday near the Texas/Louisiana border. Total rainfall accumulations are expected to reach 50 inches along the upper Texas coast — including the Houston metropolitan area. UPDATE 9.00 p.m.: Evacuation orders continue. Harris County officials ordered the mandatory evacuation of Inverness Forest and Northgate subdivisions due to high and rising waters from Cypress Creek. The notice also warned that storm pumps could fail., the Houston Chronicle reported Monday night. “DO NOT ATTEMPT TO TRAVEL IN THE AFFECTED AREA IF YOU ARE IN A SAFE PLACE. DO NOT DRIVE INTO FLOODED ROADWAYS,” officials stated. The Harris County Animal Shelter announce expanded hours to help owners in reclaiming their pets. the shelter temporarily suspended the normal three-day hold in order to return animals more quickly to their owners. UPDATE 8:50 p.m.: Drone video shows the extent of flooding in downtown Houston where the Bayou Center appears to have become — just the bayou. UPDATE 8:30 p.m.: Lakewood Church Pastor Joel O’Steen under fire for not opening church doors to those in need. UPDATE 7:30 p.m.: File this under “No Good Deed Goes Unpunished.” Louisiana Cajun Navy members take gunfire from potential rescuees. UPDATE 6:30 p.m.: Houston Ship Channel officials declared a chemical emergency as a pipeline ruptured, spilling anhydrous hydrogen chloride. Residents of the Shoreacres, La Porte, and Baytown communities were warned to shelter in place and turn off air conditioners, the Houston Chronicle reported. Fire and hazmat crews responded and issued an all clear. UPDATE 5:45 p.m.: Texas Governor Greg Abbott visited the storm ravaged Coastal Bend where Hurricane Harvey came ashore as a Category 4 storm. 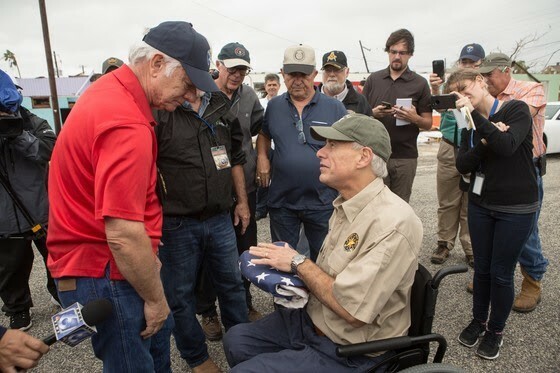 While on tour in Rockport, a local veteran approached the governor and presented him with an American Flag that he recovered. The flag had been flying over the City Hall in Rockport. The woman found the flag and asked the governor to return it to Mayor C.J. Wax. The photo of the flag exchange is below. UPDATE 5:30 p.m.: The death toll from the devastating Hurricane Harvey and resulting floods have risen to 14 as a family reports six members of the home have been washed away by flood waters. The family fears four children and two great-grandparents may have drowned. The driver escaped from the van after it washed into a flooded bayou. UPDATE 4:45 p.m.: The National Hurricane Center reports Tropical Storm Harvey has begun to strengthen with sustained winds of 45 mph. The center of the storm continues to move out into the Gulf of Mexico and is located 45 miles east of Port O’Conner. The storm is moving east-southeast at 3 mph. Little change in strength is expected over the next day, officials stated. The biggest threat from “Harvey” at this point is rain. The storm is expected to dump an additional 10 to 20 inches of rain over parts of the upper Texas coast through Thursday. UPDATE 4:30 p.m.: The Houston Chronicle reports that Memorial Herman Hospital in Sugarland, Texas is evacuating patients and temporarily shutting down operations. Officials are making plans to transfer some patients to Ben Taub Hospital in Houston. 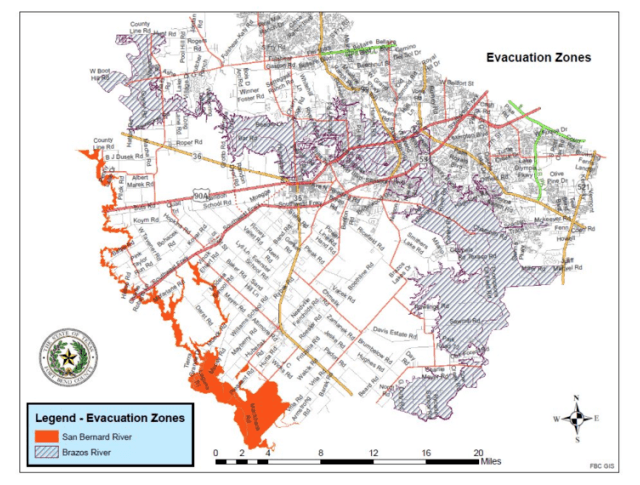 The evacuation follows warnings of 800 to 900-year flooding from the nearby Brazos River. 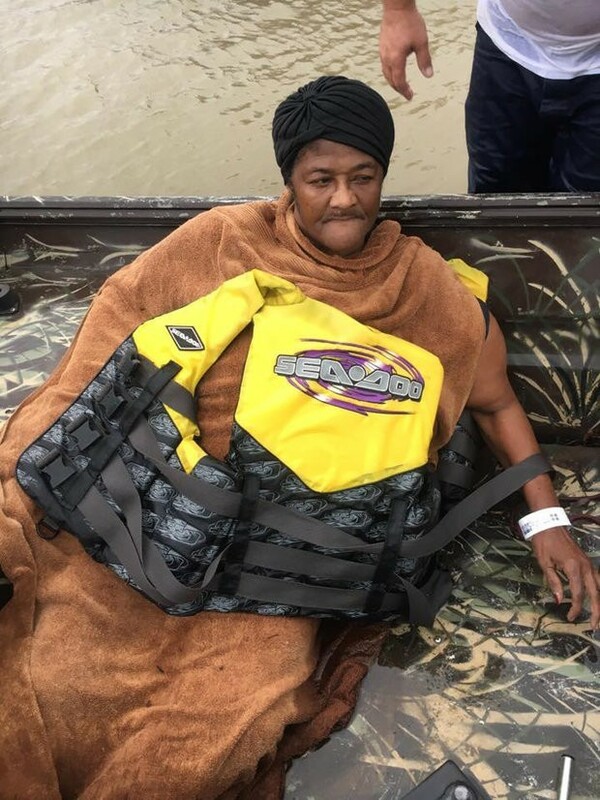 UPDATE 3:35 p.m.: Members of the “Cajun Navy” resuscitated a 73-year-old woman found floating in a Houston street on Monday morning, the New Orleans Times-Picayune reported. Photo: Joshua Lincoln/Cajun Navy via New Orleans Times-Picayune. UPDATE 3:30 p.m.: A report from the San Antonio Express-News says six people may have been killed when their van was swept away in Houston flood waters. If confirmed, this would raise the storm’s death total to 14. UPDATE 2:30 p.m.: U.S. Coast Guard officials report their urban search rescue operations continue on Monday. 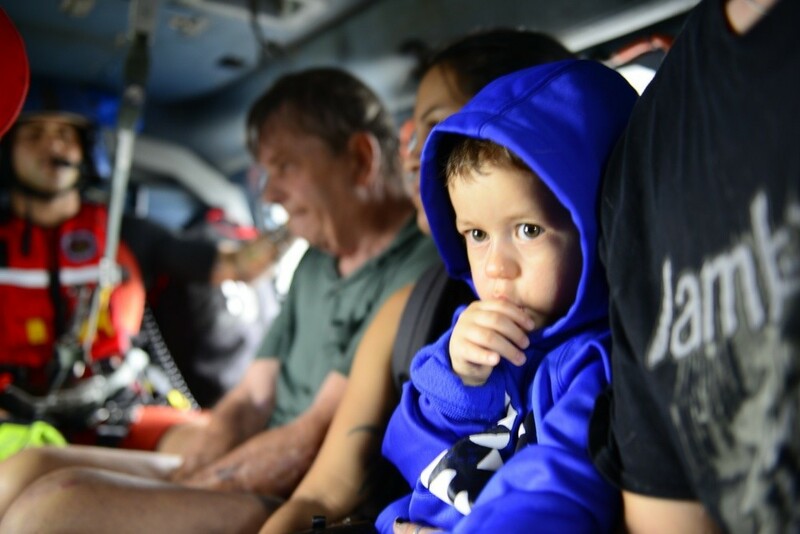 Under the direction of President Trump, Coast Guard pilots rescued more than 300 people on Sunday and provided critical medical transfers from patients to Houston’s Memorial Herman Hospital and Trauma Center. Officials warn people not to go into their attics if water comes up. They advise those in need of rescue to wave a sheet or towel in the air to be noticed. UPDATE 1:55 p.m.: Fox 26 Houston launches #HOUSTONSTRONG Campaign. The station posted a Facebook message of encouragement to Texans and Houstonians reminding them that strength is what has held Texans together in past struggles. The mayor attempted to tell illegal aliens it is okay for them to seek shelter in government run disaster shelters. “If someone tries to deport you, I will represent you myself,” Turner said. UPDATE 1:30 p.m.: A new Texas insurance law takes effect on September 1 that could impact claims filed by hurricane and flood victims. The Houston Chronicle reports that attorneys are urging people victimized by Hurricane Harvey and the resulting floods to file claims in advance of the new law. “If it is safe to return to your property and inspect damage, file written notice of your claim with your insurance company before September 1st to try to preserve at least some of your legal rights,” said Ware Wendell, executive director of Texas Watch, a nonprofit consumer group with ties to the Texas Trial Lawyers Association. UPDATE 1:20 p.m.: Under President Trump’s direction, the Housing and Urban Development Department announced assistance for victims of Hurricane Harvey and the resulting floods. UPDATE 1:15 p.m.: The Houston Chronicle reports fuel prices will likely increase across the country as the nation’s major refineries shut down operations while flooding and potential storm winds continue. In Houston and Corpus Christi, Exxon Mobil, Royal Dutch Shell, Phillips 66 and others temporarily closed operations representing at least 12 percent of the nation’s oil refining capacity. That percentage could rise if more capacity is taken offline near Houston, Beaumont or Lake Charles, La., as Harvey moves farther east. UPDATE 1:00 p.m.: Vice President Mike Pence Tweeted support for those suffering under the devastation of Hurricane Harvey and the resulting floods. 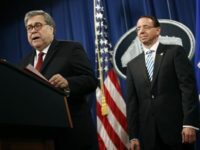 He reemphasized the support of the federal government pledged by President Donald Trump. UPDATE 12:45 p.m.: National Weather Service Houston reports the worst is yet to come as forecasters predict an additional 20 inches of rain over the next three days. Some areas have already exceeded 40 inches of total rainfall. UPDATE 12:40 p.m.: Houstonians are still resorting to calls for assistance via social media as 911 centers remain inundated with calls. UPDATE 12:30 p.m.: U.S. Senator Ted Cruz said he will remain in Houston while other state officials travel to the Corpus Christi region devastated by the Category 4 hurricane-force winds of now-Tropical Storm Harvey. I am grateful for the leadership that our local and state officials have shown in the preparation and aftermath of Hurricane Harvey. While we have yet to see the full impact of the storm, there is no doubt that the thoughtful coordination of Texas elected officials and their counterparts at all levels have helped mitigate the devastation we have seen. And I’m thankful for the assurances from President Trump and Vice President Pence that full federal assistance stands at the ready once we begin the recovery and rebuilding process. My and Heidi’s prayers remain with the millions of Texans who have been impacted by this historic storm, and we continue to urge all to heed the warnings from local officials and stay out of harm’s way as rains continue to cause flash flood threats in Houston and surrounding areas. 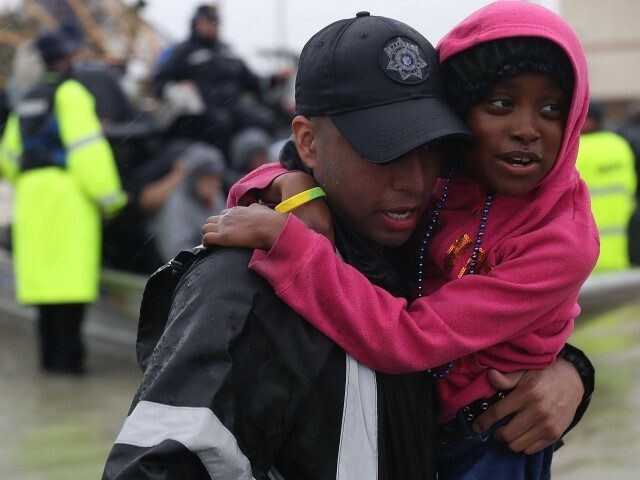 We are immensely thankful for our first responders, in Texas and from across the country, who continue to risk their own safety to help those in need of rescue. 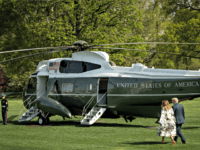 And for the thousands of private citizens who have pitched in to help, whether by offering a boat to rescue those stranded, giving needed supplies to local shelters, or donating to charities who are housing and feeding the displaced. We have a long road to recovery before us, but as always the Texas spirit of determination, generosity, and perseverance will guide us forward. We see the best of Texans in our times of need and today is no exception. I am so incredibly proud to call Texas and Houston home. We will come together, and we will recover and rebuild, as we always have. To qualify for assistance, or register your sustained damage with FEMA: 1-800-621-3362. UPDATE 12:15 p.m.: Texas National Guardsmen head to Katy, Texas, to assist with flood rescues. UPDATE 12:00 p.m.: National Weather Service officials report more than 40 inches of rain has fallen in the area of the upper Texas coast. “Next week may bring over 20″ of rain to the same area,” officials tweeted. Officials report the Colorado River near La Grange, Texas, has risen to 54 feet, a sign that more catastrophic flooding awaits those downstream. Meanwhile, alligators are being forced out of flooded bayous and creeks into subdivisions. Officials warn residents to protect pets and small children. The Houston Chronicle reported the “Gator Squad” has been out helping to capture alligators since Saturday. GOOD NEWS UPDATE: Fox News reports the birth of “Baby Harvey” who became a new Texan as Hurricane Harvey pounded into the coast near Rockport. Harvey Rodriguez weighs 7 pounds and is 18.25 inches long. Three other babies were born at the Corpus Christi Medical Center Doctors Regional hospital about the same time. UPDATE 11:50 a.m.: Houston Texans football star J.J. Watts starts crowd funding site to raise money for victims of flooding. 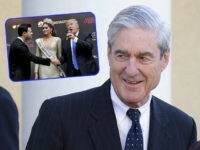 He raised in excess of $200,000 in less than two hours, CBS This Morning reports. UPDATE 11:40 a.m.: The National Weather Service of Houston is providing information about river gauges and forecast levels on their web page. He reports Boston is sending high-water rescue equipment and vehicles to assist in disaster rescue efforts. UPDATE 11:15 a.m.: Governor Greg Abbott activates ENTIRE Texas National Guard in response to continued devastation of souteast Texas from flooding and Hurricane Harvey. UPDATE 10:45 a.m.: Houston man catches catfish in his flooded living room. UPDATE 10:00 a.m.: The National Hurricane Center (NHC) reports Tropical Storm has moved back into the Gulf of Mexico about 10 miles south of the coastal town of Matagorda. Winds are still listed at 40 mph, but the storm is expected to strengthen slightly as it continues its slow march to the southeast into warmer waters. The storm is expected to remain in this area through Tuesday night and will dump an additional 15 to 25 inches of rain in the already flooded areas of the upper Texas coast and southwestern Louisiana. Areas along the middle Texas coast and southeastern Louisiana can expect 5 to 15 inches of rain. Since August 24, areas of southeast Texas have received nearly 40 inches of rainfall. The town of Dayton (northeast of Houston) reported 39.72 inches and Waller (northwest of Houston) reported 34.9 inches. The following list shows the widespread nature of the catastrophic flooding Texans are enduring and will continue to face for the next several days. UPDATE 9:50 a.m.: Houstonians adopt #HoustonStrong during storm rescue and recovery efforts. 7ummitt Magazine Tweeted that 2,000 people have been rescued from flooded homes in the Houston area. More flooding is expected as up to 20 inches of rain is predicted for Harris and surrounding counties. Rivers are expected to hit record levels of flooding and more than 100,000 people are being ordered evacuated from their homes. UPDATE 9:15 a.m.: Politico wastes no time in criticizing President Donald Trump by claiming he is attempting to stay out of harm’s way by not going to Houston while first responders and Harris County emergency management officials work feverously to save lives. Up to 20 inches of rain is expected to fall in Houston in the next 24 hours. The president is traveling to Texas and will visit areas devastated by then-Category 4 Hurricane Harvey like Rockport where up to 90 percent of buildings and homes received damage. UPDATE 9:00 a.m.: On day 2 of the Houston floods, a Harris County Sheriff’s Office deputy can be seen carrying two small children from a flooded home. UPDATE 8:45 a.m.: Fox 26 Houston reporter Greg Groogan Tweeted a video of a man carrying his pet pig to safety. Southwest Airlines helps out stranded customers. Mexico offers aid to Texas “as good neighbors should always do,” The Hill Tweeted. 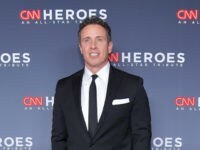 UPDATE 8:35 a.m.: Television host Montel William praised Houston’s first responders for their heroic actions rescuing people from their flooded homes on Sunday. UPDATE 8:00 a.m.: U.S. Coast Guard video shows rescue of Houston-area man from the rooftop in a flooded subdivision. UPDATE 7:45 a.m.: An insurance group says that the damage from Harvey could match Hurricane Katrina. WASHINGTON, Aug 27 (Reuters) – Flood damage in Texas from Hurricane Harvey may equal that from 2005’s Hurricane Katrina, the costliest natural disaster in U.S. history, said an insurance research group on Sunday. As heavy rain pounded Houston and Texas’s coastal counties, the Insurance Information Institute said it was still too soon to make precise estimates of the damage to homes and businesses. “It could be a flood loss like Katrina because of the amount of water that’s coming in … not as much wind as it will be water,” said institute spokeswoman Loretta Worters. Hurricane Katrina resulted in more than $15 billion in flood insurance losses in Louisiana and Mississippi that were paid by the National Flood Insurance Program (NFIP), a federal program that is the only source of flood insurance for most Americans. 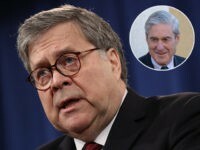 Numerous Breitbart News Writers contributed to this report. Lana Shadwick is a writer and legal analyst for Breitbart Texas. She has served as a prosecutor and associate judge in Texas. Follow her on GAB @lanashadwick and on Twitter @LanaShadwick2.